Kim Fundingsland/MDN Despite cold temperatures, February snowfall in the Minot area is running well above normal with continued cold and snow likely the next few weeks. During a February that has seen temperatures running far below normal, snowfall in Minot is well above normal. Not even sub-zero temperatures are a guarantee that snow will stay away. Recently Williston bottomed out with a record of minus 43 degrees. Conditions included clear skies, light wind and no snow. “It was a scenario in which they were experiencing radiational cooling. That’s when temperatures plummet the most. With clear skies you won’t see snow,” said Kranz. There’s no certainty that it won’t snow when temperatures are extremely cold, just less likely. Minot has had an abundance of very cold weather so far this month but has also easily surpassed average snowfall for the month which is not quite at the halfway point. 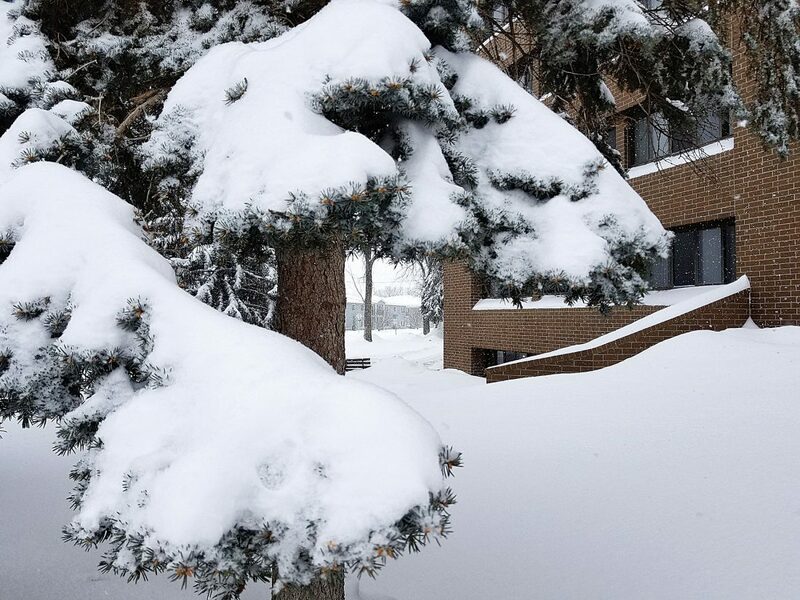 As of Monday morning the snowfall total at the Minot International Airport for February was 13.2 inches and more snow was falling. The monthly average for February is 5.9 inches. Minot is not alone in experiencing very cold temperatures and an increase in snowfall. The Jet Stream has been consistently running well south of North Dakota, which has allowed frigid Arctic air to descend upon the region. According to the Climate Prediction Center the trend is likely to continue for at least the next two weeks.